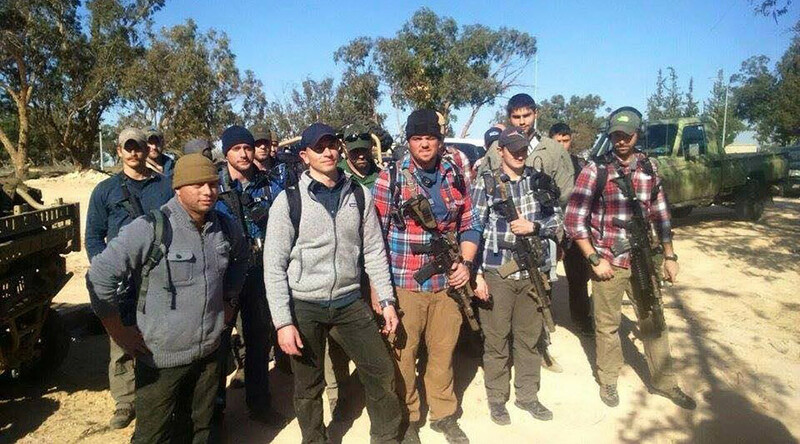 Libya’s air force said in a Facebook post that 20 US commandoes arrived at Wattiya airbase and disembarked “in combat readiness,” only to be told to leave. Pentagon sources confirmed the US had sent a special forces unit to Libya as part of a mission. When questioned by Libyan soldiers, the American troops said they were “in coordination with other members of the Libyan army,” the Libyan Air Force said. The Libyans were unconvinced. “The response from your heroic army stationed at Wattiya base was to tell them to depart immediately and the group left, keeping their equipment with them,” the post added. The photographs show three men armed with assault rifles, boarding a blue-and-white-striped passenger plane and driving a yellow dune buggy. According to the Associated Press, the failed debarkation happened just as Libya’s rival parliaments signed a landmark United Nations-sponsored deal to form a government in the war-torn country. Libya has been in chaos ever since Muammar Gaddafi was overthrown by NATO-backed rebels in 2011.